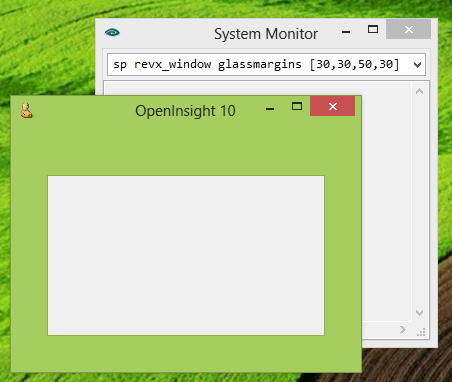 One of the new capabilities added to OpenInsight 10 forms is Aero Glass support, a feature that Microsoft introduced with Windows Vista and unfortunately removed in Windows 8 (in the interests of disclosure your author is not a great fan of the “improvements” to the desktop in Windows 8). 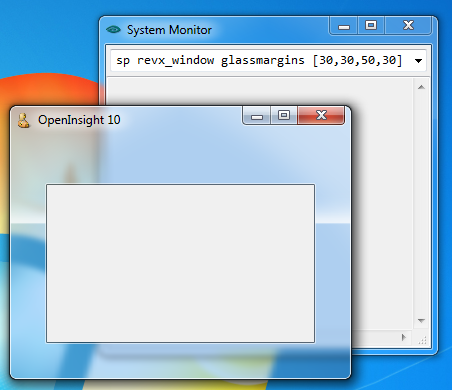 Still, Windows 7 remains extremely popular and will be around for many years to come so it makes sense to provide an Aero Glass interface for developers who wish to use it. 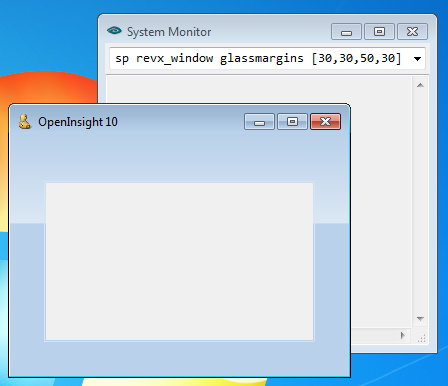 This property is a simple @fm-delimited dynamic array of margin values that specify the areas on the form that should be rendered using the glass effect. Basically everything between the edge of a form and it’s appropriate margin value is rendered as glass. 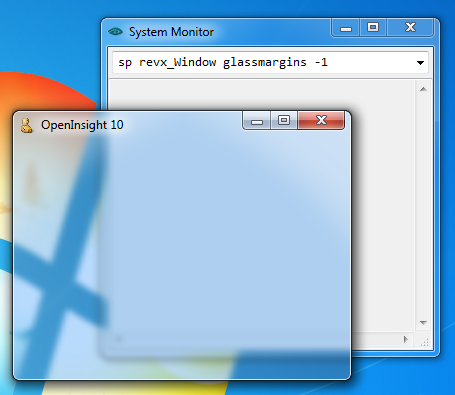 Note that setting the margins to “-1” forces the entire client area of the form to be rendered as glass instead. 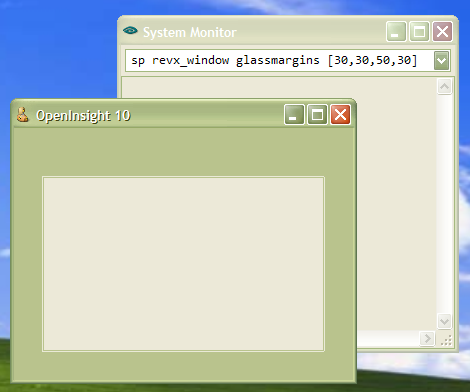 This is a boolean property (1/0) that enables or disables the Aero Glass effect for a form. The GLASSMARGINS property must have been set before this property can be used to enable glass rendering. This is a boolean property (1/0) that specifies if the glass areas of a form can be used for dragging (normally only the form caption area can be used for this). 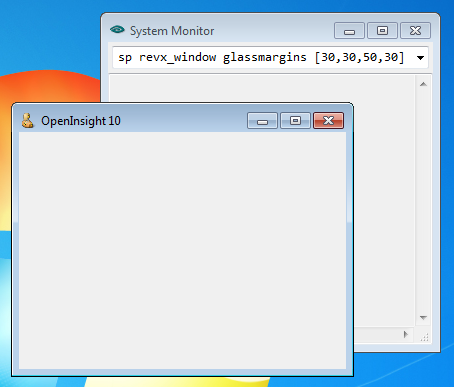 What happens when Aero Glass is not available? This entry was posted in Presentation Server and tagged Glass, Properties, WINDOW on January 14, 2013 by Captain C.